POKHARA / PARBAT, July 2: Landslides triggered by heavy rains on Saturday night have claimed five lives – three in Parbat district and two in Kaski district. 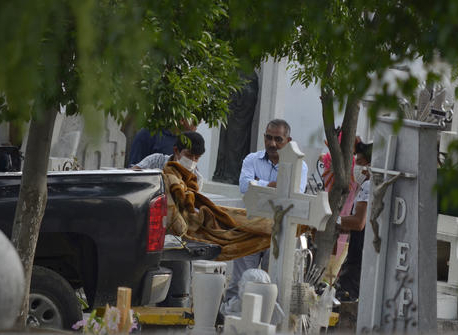 The three deceased in Parbat were from the same family. One person has gone missing in Kaski. The three members of the same family in Mahashila of Parbat were buried by a landslide when they were asleep. The deceased have been identified Tirtha Bahadur Malla Thakuri, 63; his wife Yam Kumari, 55; and her mother Bel Kumari, 80. According to Ishwari Prasad Bhusal, ward chairman of Mahashila, their bodies were recovered from the debris on Sunday morning. 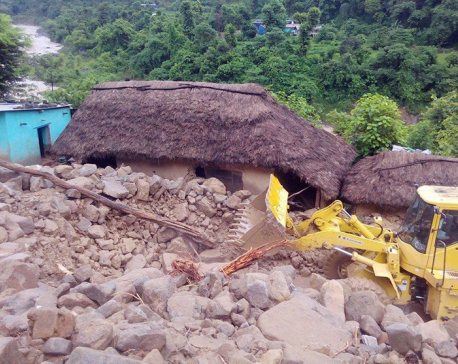 In Pokhara-Lekhnath Metropolis of Kaski, landslides killed two, while one person is missing. The deceased have been identified as 14-year-old Tanka Chhetri of ward 18, and Shova Paudel, 40, of ward 19, according to the District Police Office (DPO), Kaski. Police said landslides debris buried the child who was in the house. Other members of the family had managed to escape, locals said. The child's body was recovered at around 7 am on Sunday, informed Inspector Kishor Lamsal of ward police office. A 65-year-old woman has gone missing after the floods in Fushre Khola of the metropolis. She was swept away by the flood while attempting the cross the bridge over the river. 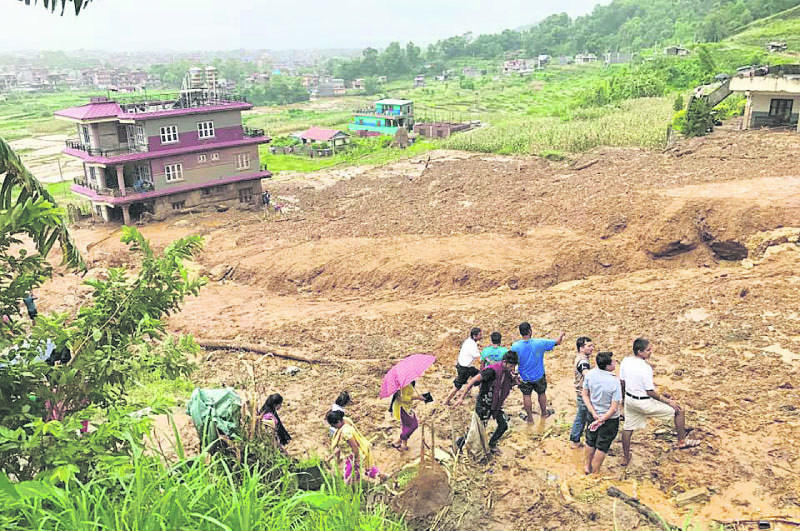 The incessant rainfall and resulting landslides have put around 10 houses of Methlang of the district at risk. Floods have also caused damage to roads, electricity poles, and drinking water pipes. Likewise, floods and landslides have also posed threat to several houses in ward 17, 21, 33 and 40. "The bridge over the Dobilla River is at high risk and this has affected transportation to and from the metropolis," said Kamal Giri, a local. About 500 vehicles cross the bridge on a daily basis, according to locals.